Surprisingly, the technology is over 30 years old, but the first modern wave of public excitement occurred around 2012 when media outlets touted the technology as ready to revolutionize the entire manufacturing landscape. Additive manufacturing had come a long way over three decades, but it wasn’t quite ready to live up to the massive hype. Fortunately, the technology has developed dramatically in the intervening five years -- especially the 3D printing of metal alloys. In this series of articles, this online guide will provide information on the different metal AM processes available today including advantages, disadvantages, and applications. The purpose of this guide is to help the manufacturing leaders and engineers learn about the exciting new technology and how to best leverage it. The potential benefits of AM are too great to ignore: previously impossible design possibilities, on-demand manufacturing, reshaped supply chains, and much faster product development cycles. For example, AM gives you the ability to create internal chambers, nonlinear cooling channels, and other extremely complex geometries. It’s possible to consolidate many parts into a single design, subsequently reducing the number of parts that need to be designed, created, tracked, and stored. The popularity of 3D printing is directly related to the technology’s exciting possibilities and benefits. When 3D printing is used to create metal parts, the layer-by-layer approach allows for the creation of parts without the use of a mold or casting. Typically, the time required to make the tooling for different traditional manufacturing processes can range from a few weeks to several months, with no parts being produced in the meantime. Machining a part can be done more quickly, but it can be very expensive for complex geometries and difficult to scale to high quantities. To summarize, the four main benefits of metal 3D printing include: lowering costs, quickly innovating, new design possibilities, and on-demand manufacturing. 3D printing dramatically lowers the cost of manufacturing complex or custom parts. Also, by removing the need for a mold or tooling you take away the associated investment required to get the manufacturing line up and running. 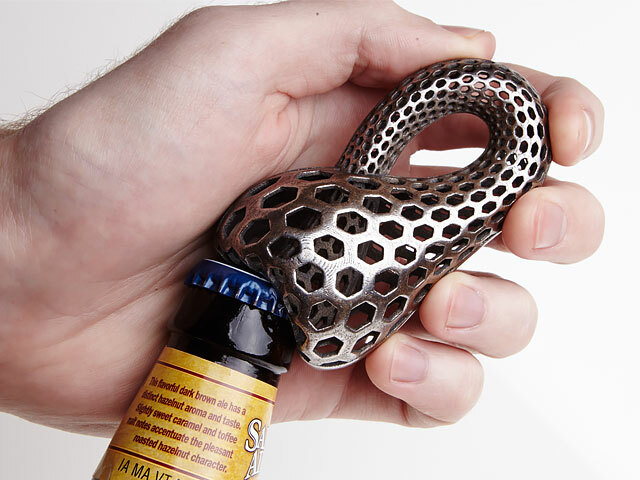 The layer-by-layer approach of metal 3D printing enables previously impossible designs and customization opportunities by stretching beyond the limits of traditional manufacturing. Lightweighting and parts consolidation are two very popular design applications of metal 3D printing. Engineers and product designers can iterate on part designs quickly to test new ideas and concepts. Increasing the speed of innovation allows companies to get new products to market with faster than ever before. With 3D printing, it is possible to order only the quantities needed and with short turnaround times. The concept of a digital inventory refers to part files being stored electronically, and then created as desired to match demand. This includes legacy parts where the tooling is unavailable or prohibitively expensive.